It seems like the cost of back-to-school shopping continues to go up every year, while our incomes remain about the same. In fact, in 2010 the National Retail Federation reported that the average American family spent over $600 on back-to-school shopping. This was an 11% increase from the year before and it has been steadily rising ever since. This figure only reflects how much it costs to purchase clothes and supplies for elementary and secondary school kids. The needs of college students include tuition, laptops, meal plans and housing expenses, making $600 suddenly seem reasonable by comparison. So, how can cash-strapped parents manage to send their little scholars back to school without going broke in the process? Here are some smart shopping tips that could help you save big this fall! Not sure where to start? Put down the weekly circulars and take inventory of what school supplies you already have before you hit the stores. 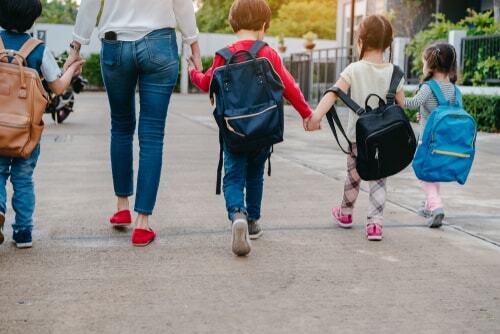 Many items on your kid’s back-to-school list, like scissors, binders and backpacks, can be reused or handed down from older siblings if they’re still in good condition. 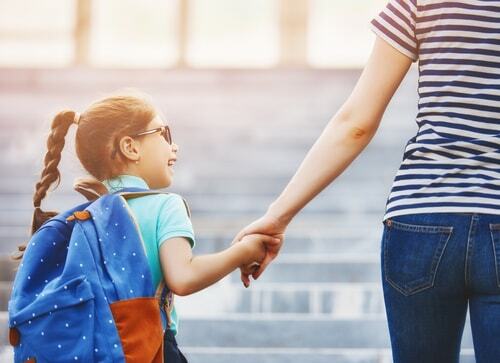 When you know what you already have to work with, it’s easy to create a leaner back-to-school budget that covers your kids’ education needs while giving your wallet a break. Once you know what items you already have, it’s time to prioritize your shopping list. Consider reaching out to your kids’ teachers to find out if certain items on the list won’t be needed until later on in the school year. For example, a graphing calculator is pricey, and that money can be used for other items on your supply list if the calculator won’t be needed until the 2nd semester. Prioritize your back-to-school list so you can plan those big expenses in advance and avoid skimping on essentials or having to use a car title loan to cover these expenses. Do you know if your state has back-to-school tax holiday? Many states have a period of time where you do not have to pay sales tax on items like clothes and school supplies, so take advantage of this opportunity to stretch your dollars a little further. You can plan your shopping around the tax-free holiday, and by combining these saving with coupons and other special offers, you could save some serious cash. Planning in advance may also help you decide if you need a little extra help, and max out your savings instead of your credit card. While it’s important to make sure you don’t double up on supplies you already have, if you see a good deal on things you need every day, why not stock up and get them for less by buying bulk? Staples offers reams of paper for a penny during the first week of August. Walmart, Target and other retailers offer door-busters on supplies like crayons and notebooks that you can use all year long. You may also want to check out wholesalers like Sam’s Club and Costco – compare prices to see how much buying in bulk could save you. If you don’t need a gross of pencils or a 12-pack of glue sticks, try pooling your purchases with friends, family and neighbors to share the savings and minimize your costs. If you are familiar with thrift stores like Goodwill or Salvation Army, you’re no stranger to the deep discounts they offer. Keep an eye out for special days where these stores offer items at an extra discount, as well as rummage sales and consignment stores in your area. You can’t go wrong with durable materials like school uniforms and denim, and you can never seem to have enough wardrobe staples like pants, shirts and jackets. Thrift shops and consignment stores are a great resource for gently used clothing, and children grow so fast, the kid’s section at these stores is always full of brand-new and like-new clothing for a fraction of the retail cost. If your kids have outgrown clothing and accessories you’d like to donate, why not ask friends and family if they could use them first? After all, charity begins at home, so get your fellow parents together for a clothing exchange and pool your resources so every child in the group has plenty of new outfits to start the new school year. Chances are you have plenty of perfectly good clothes that are ready to be passed on to another deserving child in your circle of friends and family. Packing lunches for your little ones might take a little extra time and planning, but it is always cheaper than buying school lunches. Say goodbye to pricey snack packs and stock up on plastic food containers and zip-lock bags if you don’t have them already – you can use these to make just about anything “snack-sized,” from chips to carrot sticks. Mandarins are easy to peel, and grapes and apples are great snacks that are as convenient and healthy as they are tasty. And sandwiches are easy to prepare in advance so they are ready to grab and go in the morning. This not only helps you save money, but puts you in control of your kids’ nutrition, a true win-win.